For over 20 years, we’ve proudly served Victoria’s craft beer enthusiasts. With a focus on enduring global styles, our beers favour subtle complexity, structure and balance, while respecting the progressiveness of North American brewing culture. Refined, unique and deeply enjoyable. our brewmaster's unique single-batch creations. rare and limited availability. Canadian wheat provides a light, creamy texture on the palate, with the traditional fruity yeast notes of a belgian witbier (banana and clove-like) and a gentle dosage of chocolate malt, to create a unique flavour experience. 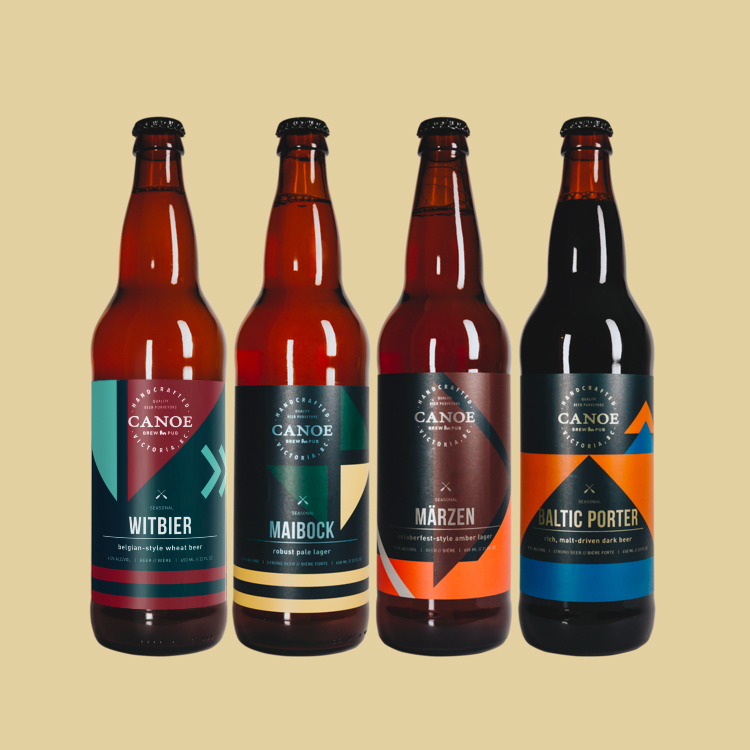 To complement the bright burst of flavours in our new beers, the labels were inspired by geometric designs of traditional canoe paddles, referencing not only our brewpub’s namesake, but the local cultural ties of cabin and camping lifestyle, and adventure. We're committed to excellence in our beers, through careful curation of our ingredients and processes. Drawing on two decades of brewing experience, our beers are brewed to stand up against the finest examples of their style. We reduce our CO2 footprint through natural carbonation and feeding spent grains to local livestock. Ask your server about our adventure items the next time you're in. Sign up for the latest on feature pours, monthly events + live music, giveaways and more.